The clock is ticking for budding British Counter-Strike: Global Offensive professionals who want to show their clout in the big leagues, as OMEN by HP’s search for the next Smooya is coming to an end. The gaming brand has teamed up with FACEIT for the UK’s largest tournament to develop new talent, and while many British players have already thrown their hat into the ring, there are only two qualifiers left. 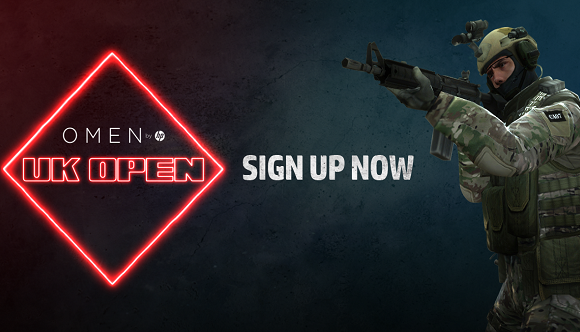 The OMEN UK Open has been created to help accelerate the growth of the UK CS:GO scene, and develop new talent. By offering a $30,000 prize pool consisting of $12,500 in cash, and $17,500 in OMEN by HP hardware, the brand hopes to encourage the next generation of esports athletes to step into the limelight. To enter, teams must have at least three British players and register on FACEIT for the qualifiers on August 5 and August 19. But don’t be put off by the fact several other teams have qualified. Everyone who makes it through the qualifiers will be entered equally into a two-month league, which will reach its conclusion in a two-day final event on November 17 and 18. All the action will be screened on the OMEN Europe Twitch channel. For more information about the tournament, or to sign your team up, you’ll need to head over to FACEIT. For the chatterboxes among you, OMEN is also running a Community Casting Challenge to help find the next big talent, so you’ll see a few of those competitors streaming the matches too.